If you have ever worked in a help desk technical support role in a call center environment, you have always wished you could “see” what your caller was stressing about! How many times, if you could have seen that device, you could tell them specifically which cable to move. Insurance adjusters also have that same challenge. It would really be helpful if you could text me a picture of that crumpled fender! Being able to send a TEXT message to your call center could be a major time saver! Yet how many call centers can route an incoming TEXT message like a voice call, sending it on to the next available Agent? The Dextr Dashboard now enables incoming TEXT messages to be sent to the next available AWS Connect agent. Messages can be TEXT (SMS) or PICTURES (MMS)! 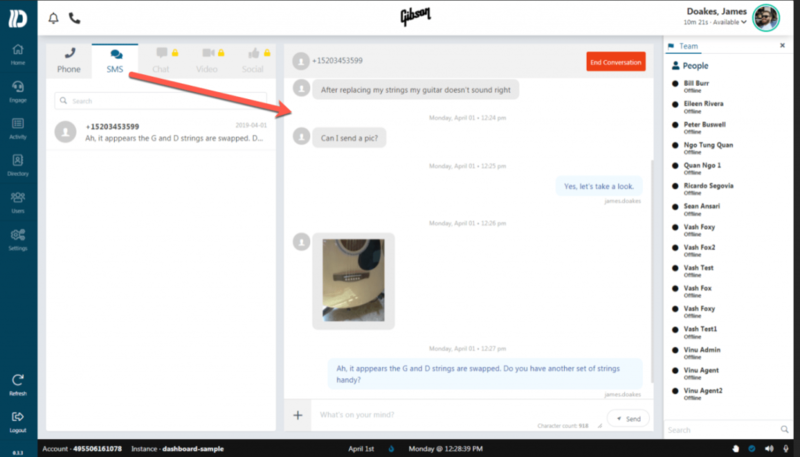 Dextr also enables “sticky SMS” which assures that an “in progress” text message exchange stays with the agent that originally handled the text request. If a message is assigned to an agent who is not currently logged in to AWS Connect, the entire text conversation is moved to the next available agent! “TEXT” becomes a “skill” or permission that is added to an Agent profile nominating them to participate on inbound text messages sent by callers. Dextr has a variety of interfaces that support Voice, Text, Email, Chat and Social Media messaging and an inbound message will pop the correct TAB enabling an Agent to handle multiple channels if they have the correct skill or permissions. If you are using an AWS Connect call center, head over to http://go.dextr.cloud and onboard you instance and give the Dextr dashboard a try! If you are not using AWS Connect, but are thinking about it, we would build you a proof of concept and you can still try it! No cost to you, so give us a call!